A streamlined silhouette gives our Navigate the look and feel of motion. 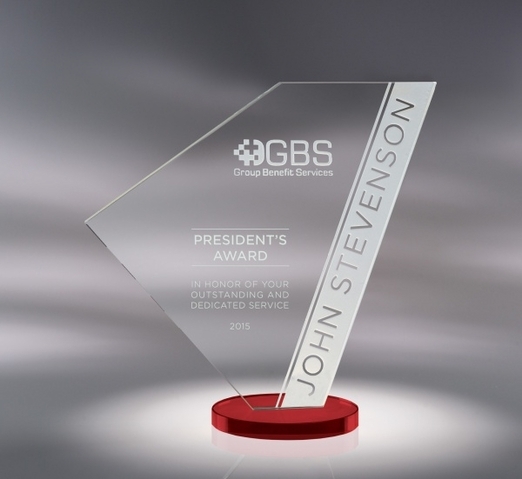 The perfect fit for leadership, our unique, reverse deep-etch is used to highlight one�s name and drive the message home. Made of Starphire Crystal, the base is available in clear, black, red or blue optic.